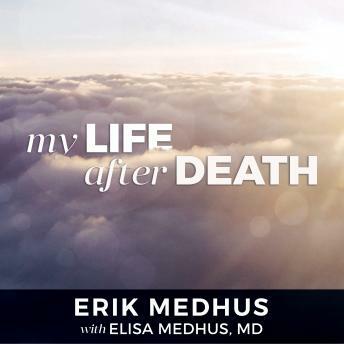 My Life after Death begins on the tragic day when Erik Medhus took his own life. What follows is a moment-by-moment account of the spiritual life he discovers on the other side-told for the very first time in his own words as channeled by medium Jamie Butler and then transcribed by his mother, Elisa. In this intimate and provocative memoir, Erik describes more than just a visit to the afterlife. He personally walks us through the experience of dying and reveals a detailed look at the life awaiting us on the other side. In doing so, he helps to answer crucial questions, including: What does it feel like to die? What is it like to become a spirit? Why and how do spirits communicate with the living? Is there a heaven? Ultimately, Erik's story provides the answers that will help listeners find solace and remove the fears surrounding death, showing that love has no boundaries and life does not truly end. Couldn’t put it down! Very informative and funny and inspiring!